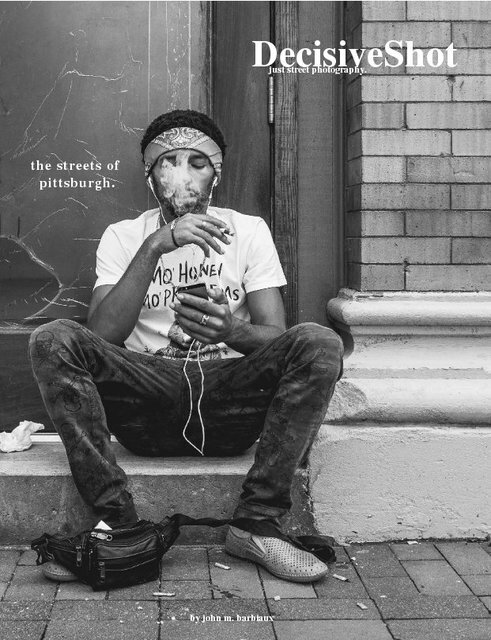 This issue of DecisiveShot's street photography magazine is called The Streets Of Pittsburgh. The candid images capture the life and times of the subjects within them. There are no advertisements, descriptions, or distractions. My passion is photography. Landscape, advertising, and street photography are my specialty. Every chance I get I'm behind my camera chasing the elusive perfect shot.